This photo was taken after I had taken the other sock off the cable and onto some dpns. I don't usually like dpns but the Knitpick Harmony needles I am using at the moment might just entice me to the other side. Last Saturday at 3.30am, Soldier and I dragged our tired bodies out of bed, packed the car with a suitcase and two small, sleepy children and drove to the airport. We were on our way to surprise my Mum who had just has a significant birthday - you know, one that ends in a zero. I love surprising people! I get such a kick out of it. My Mum is my favourite person to surprise though, because she reacts so well, and is so very happy and grateful to see us. Little Sister and I had decided to throw her a surprise party. Mum doesn't like us to make a fuss so we decided to make it small barbeque. There were about twenty people freezing their butts off in the North Queensland winter on my parents back deck. I truely think that it was warmer at home in Sydney on Saturday night. We had such a good night and I think that everyone who made it did too. We stayed for the weekend and flew home on Monday evening. Unfortunately our children were those children on the flights home. You know the ones who disrupt the entire plane. They were the ones who were screaming and fighting with their siblings, the one who were kicking the seat in front of them, the ones throwing their toys and refusing to sleep, and Soldier and I were the frazzled parents trying to make them behave. After the flight from hell, we boarded the bus to the long term car park to collect our car. I was certain I knew where we had parked it. We hopped off the bus and strode purposefully towards where we thought the car was, only to find that it wasn't there. Then ensued some general wandering about and the thought that our car had been stolen. After about fifteen minutes of this craziness, Soldier had the bright idea to get out the keys and start pushing the button to unlock to doors. More general wandering occurred and finally we spotted the indicators flashing at us. We were only off by about 8 rows. What do you think my favourite colour is?? Personal Sock Club 2009 - June! I may not be a cardigan knitter, but I am definately a sock knitter. Behold! June's socks for my Personal Sock Club 2009! 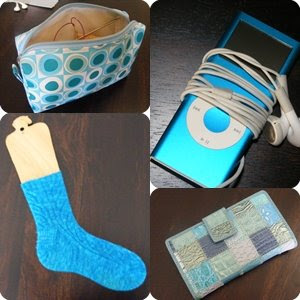 These were knit two at a time, magic looped. They took forever, and I don't know why. I cast on and knit with a vengence until I got to the gusset increases and then it all came to a grinding halt. It took me nearly three weeks to knit half of the increases and turn the heel/knit the heel flap. 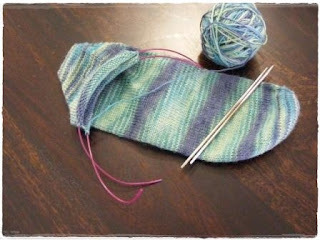 It didn't help that I completely screwed up knitting the heel flap the first time and had to pull it out and start again. Once I had that all sorted it only took me another two days to knit the cuffs. So they really should have been finished weeks ago. They are really snug and require a lot of pulling to get them over my heels, and once they are on don't ask me to take them off in a hurry. Although they are very comfortable to wear and I am very enamoured with the colour. 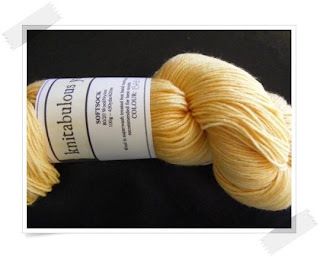 This month's socks are going to be Brigit and I am using Knitabulous Soft Sock in Baby Chick. I have already started and so far I am very happy! Have you ever wanted to be something you are not?? Silly question. I am sure everyone has. I want to be a cardigan knitter. An adult cardigan knitter to be exact. I really want to be able to wear a knitted by me, cardigan, but I just can't make it happen. During the past few weeks I have cast on for no less than three cardigans for myself. I knit for an inch or so and then I get utterly bored. So very, very bored. I don't know what it is. Maybe it is the nearly never ending stockinette, or the sheer size of an adult garment, or maybe I just haven't found the perfect cardi that holds my teeny tiny attention span for longer than an hour. Perhaps, I just need to bite the bullet and admit that I will never be a cardigan knitter and get over it.